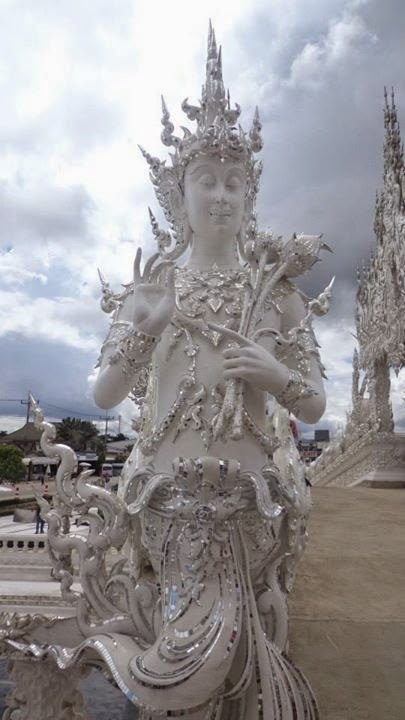 After seeing pictures of the White Temple in Chiang Rai, I already made up my mind that I wanted to see it during my trip to Northern Thailand. 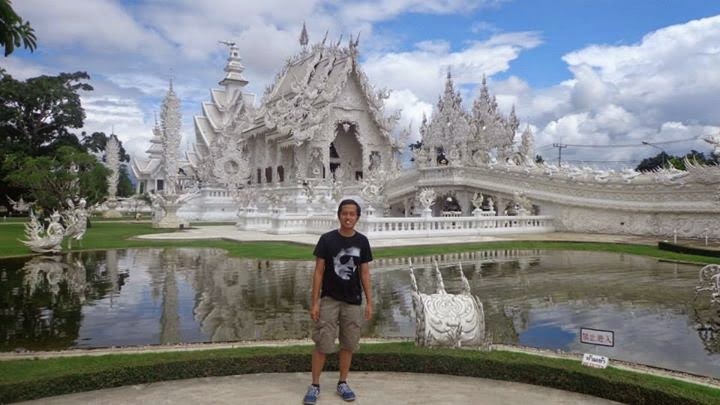 It was quite a long drive from Chiang Mai city to Wat Rong Khun or also known as the White Temple, but the long journey was worth it. Upon first glance, I was already in awe of the temple. Apparently, the designer of the temple was into pop culture. 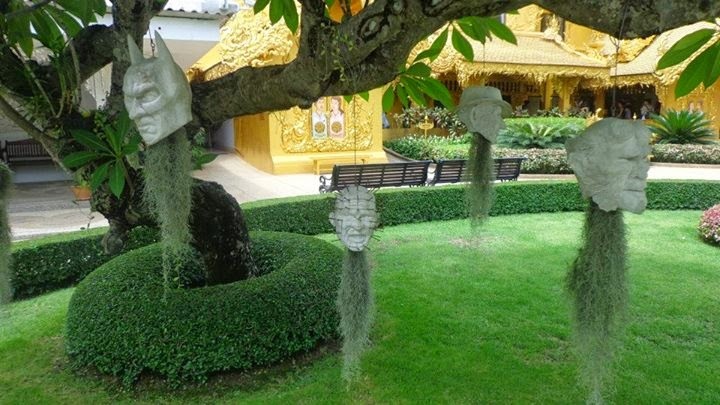 Heads of popular characters were hanging from one of the trees just outside the temple. The temple depicted the struggle to inner peace. From the hands reaching out from the bridge, before reaching the temple in the middle. The artist wanted to depict the inner struggle that people go through before finding themselves and the peace they are looking for. There was a story behind each step you take before reaching the temple in the middle. 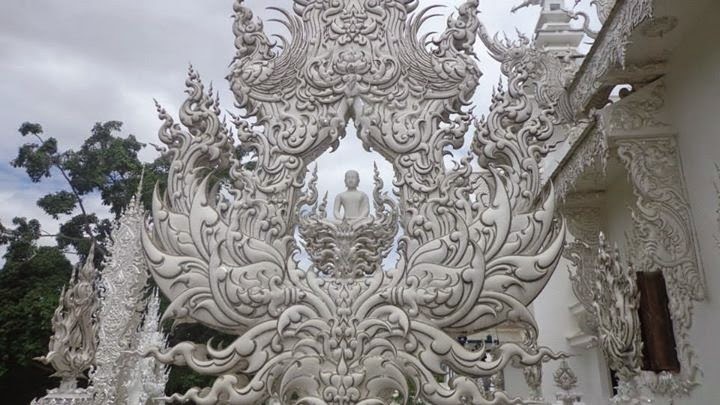 I only saw pictures of the White Temple online and I was awe struck by how well-made and intricate this contemporary Buddhist temple is. 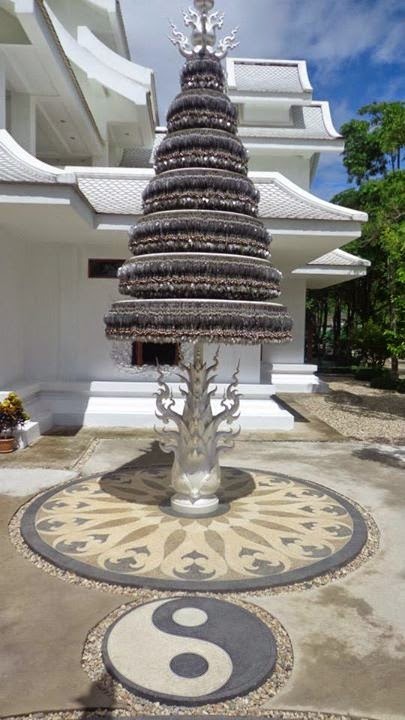 The temple was designed by Chalermchai Kositpipat in 1997. The artist's vision combined traditional Thai architecture with modern art and culture. The deities of Buddhism were guarding the entrance and exits around the temple. Works of art lose their meaning if there is no story behind them. Our guide told us that the artist who designed the temple didn't believe in Buddhism when he was a young man. But later in life he felt peaceful every time he stayed inside a temple and realized that he couldn't do everything on his own. 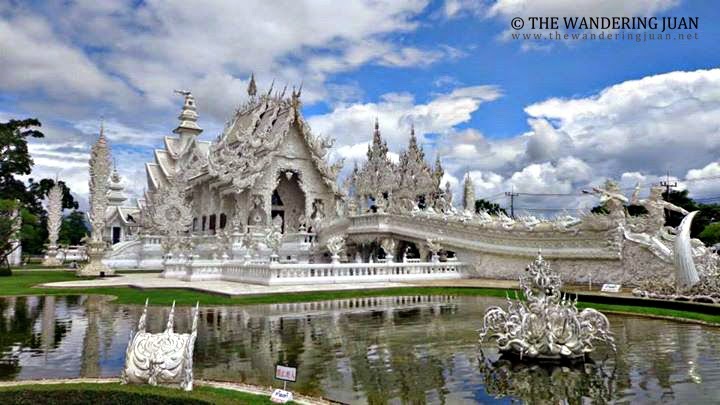 He then decided to create a temple dedicated to the King, Buddhism, and for the country. 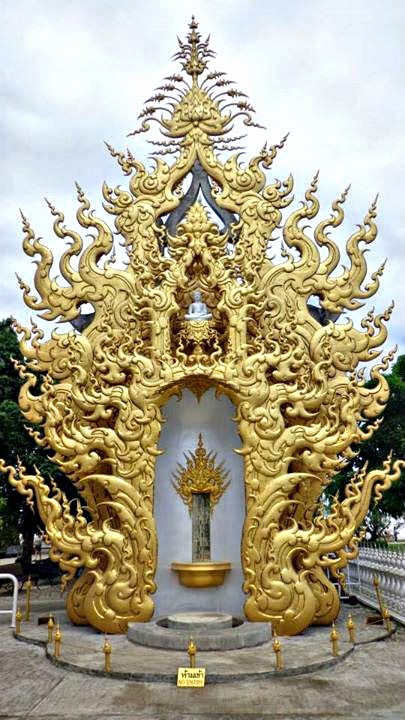 I was surprised that even the toilets in this temple complex were beautifully made. From the outside, I thought that this building was a part of the temple, but when I asked where the toilet was the staff pointed me to this building. There was another smaller temple just a few meters from the toilet which was also just as impressive as the main temple. The artist's heart and vision was on full display as I walked around the temple complex. The design and artistry put into the temple complex was a testament to the artist's dedication to his heart and muse. 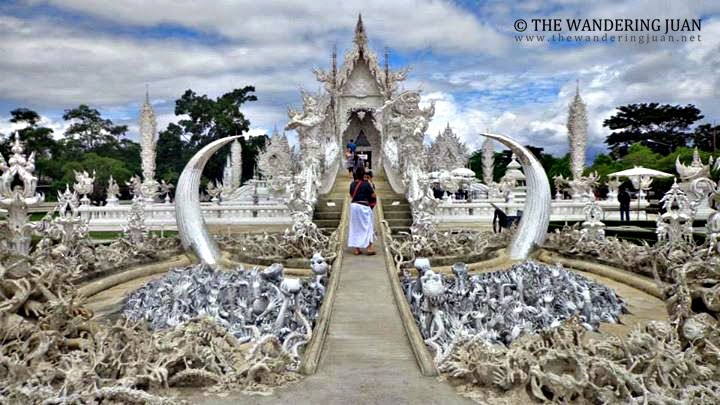 *The trip to Wat Rong Khun was included in the day trip I booked from Chiang Mai to Chiang Rai which cost me Baht 1100 which included lunch. 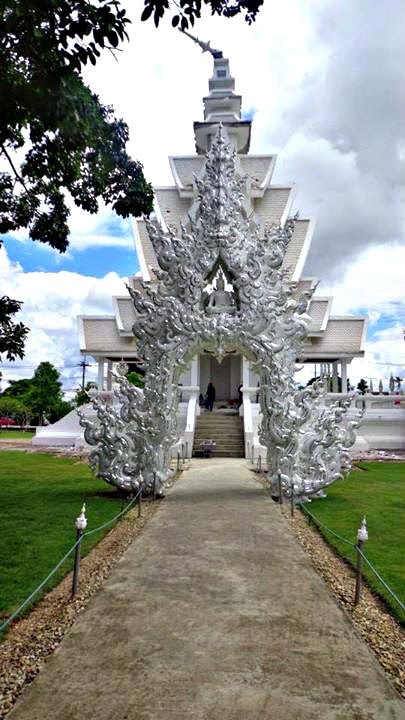 Having white temple is not common but it looks really majestic here. This would be a nice place to visit in Thailand. 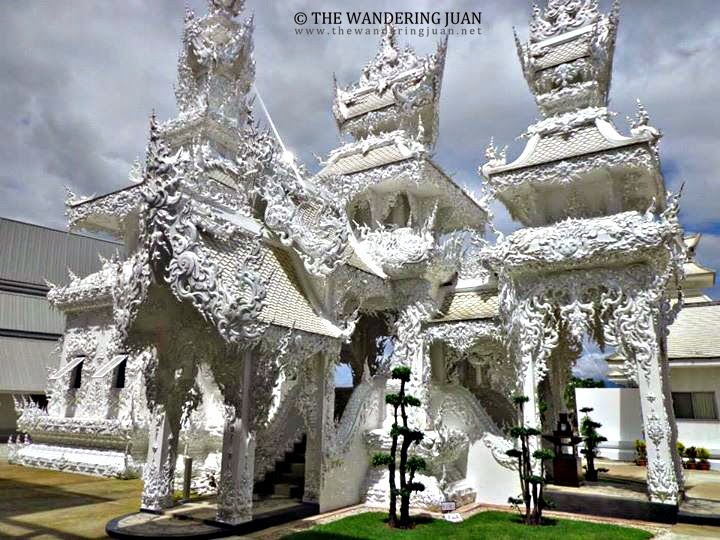 A very intricate designs with lots of creativeness that put into these structures and images. 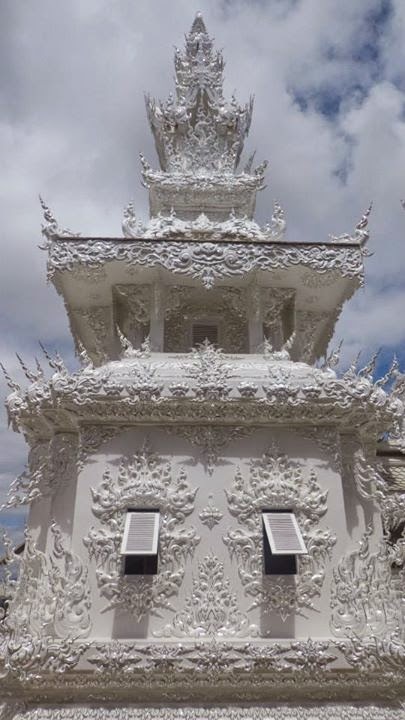 Seems like this temple is made by Snow Queen of Once Upon A Time (I wonder if you also watch it) or Elsa of Frozen. I was also amazed to see the head of Batman! Haha! For some reason, it reminds me of Frozen and Elsa's ice castle :) It looks very good ! what does the interior of the buildings look like? 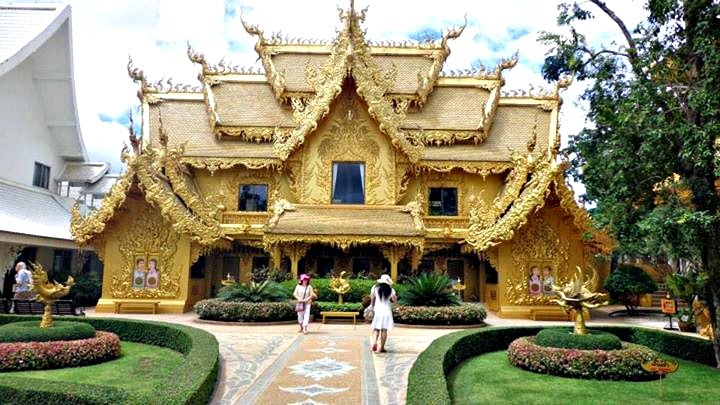 We plan to go to Chiang Rai next month and we'll pay this temple a visit for sure. It's popular for tourists, I must say.